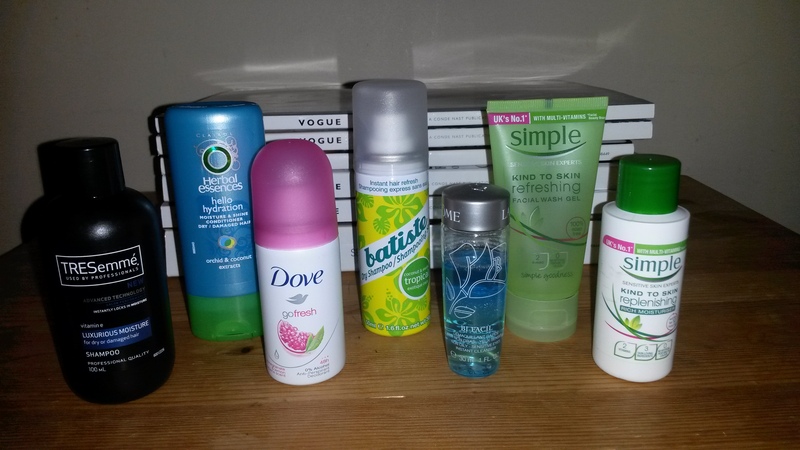 This entry was posted in Beauty and tagged bodycare, cosmetics, Dove, flights, haircare, Herbal Essences, Lancome Batiste, planes, Simple, skincare, toiletries, travel sized cosmetics, TRESemme. Bookmark the permalink. Always good to see travel sized products, especially with airline regulations.